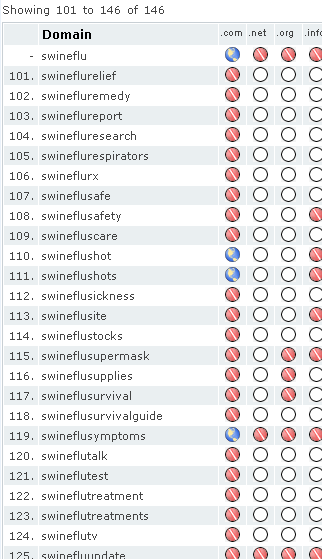 We're seeing lots of domains being registered. Here's a list of the ones registered over the weekend. 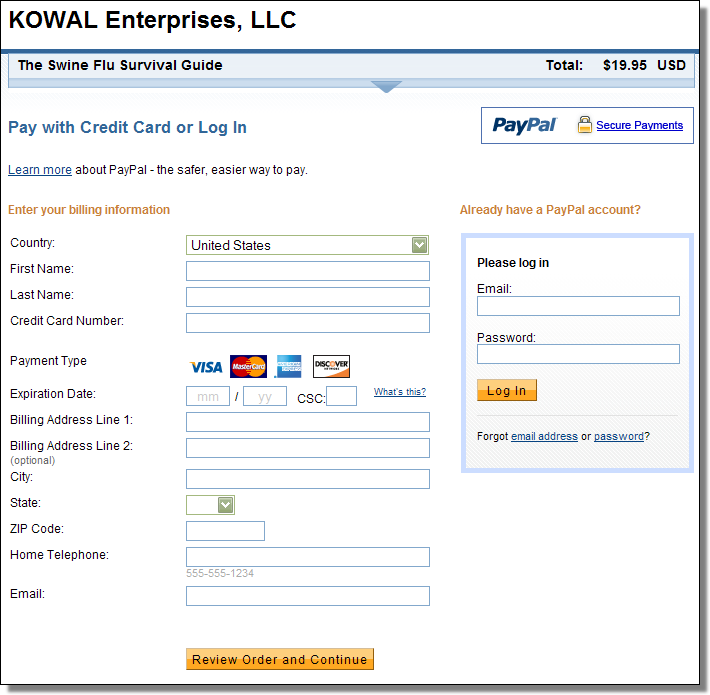 Click on the "Add to Cart" button at noswineflu.com and you'll be asked to buy a PDF file called "Swine Flu Survival Guide" for $19.95. You'd be better off spending your money on this. 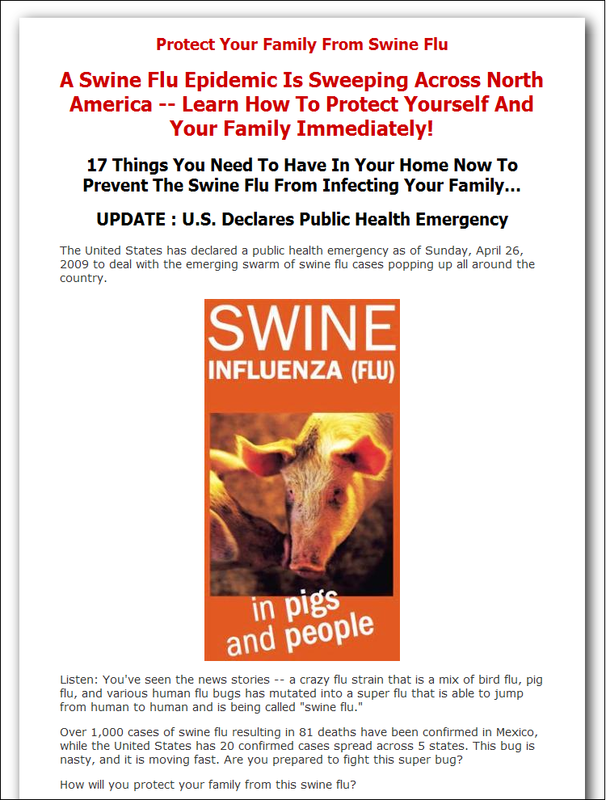 Updated to add: Joe, the owner of noswineflu.com sent us a copy of his PDF. It's 19 pages opinion and advice, and the copy that we received is NOT malware. Remember, this post notes the creation of opportunistic sites, not malicious ones.